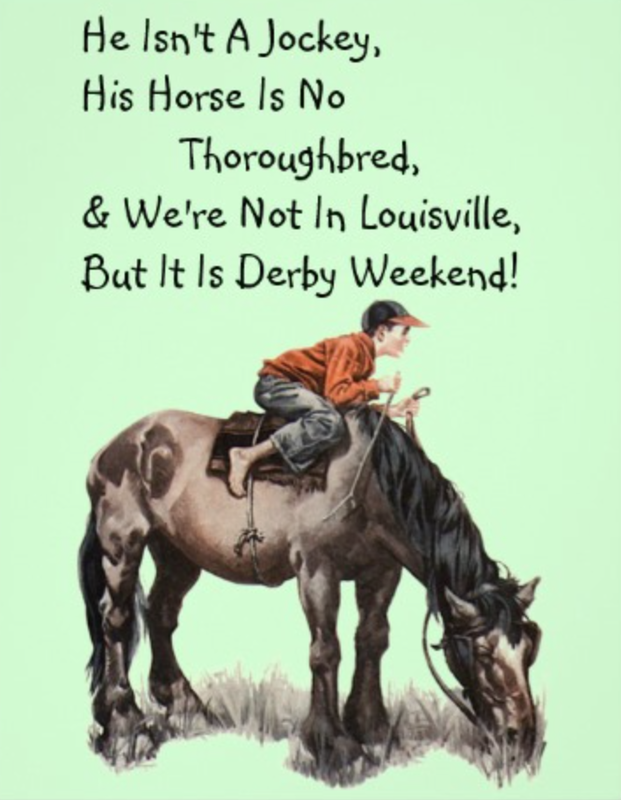 We May Not Be From Kentucky, But We Still Know How To Derby! I don’t know if I’ve ever actually shared my love of the Kentucky Derby, or horses in general with you all that much in the past (horses are in my blood! It’s a family thing). But for those who know me well, it should come as know surprise that today I will be donning a party dress and a hat and screaming at my TV for the Fastest Two Minutes in Sports. And even though it gets cheesier every year, I still love the “red carpet” event before the actual race, where all of the horses and their stories are introduced, and you get to learn more about your favorite jockeys, trainers, and owners. Of course, because I’m a girl, and I’m allowed to choose my horses this way, so I like to pick my winners based on their names and their stories and their colors – but don’t count me out! If I’d of had time to place a bet right before the race two years ago, I’d have made a pretty penny by getting the Trifecta! But the true horse fan in me knows that it doesn’t really matter if I pick the winner or not, because there’s nothing I’d like to see more than a Triple Crown Winner. Which means that I’ll be rooting for whoever takes home the roses this week again in two weeks at The Preakness Stakes! And from there, hopefully again in three more weeks at The Belmont Stakes! Those three races (The Kentucky Derby, Preakness Stakes, and Belmont Stakes) are the three most prestigious races in horse racing, and it’s so rare for a horse to take home all three “jewels” that in the last 95 years it’s only happened 11 times – the last time being in 1978, NINE years before I was born!! So yeah, I’m gettin’ ready! It’s gonna happen! Here are a few snapshots of our mini celebration this year…next year, I say we go with a real party, what do you think?? 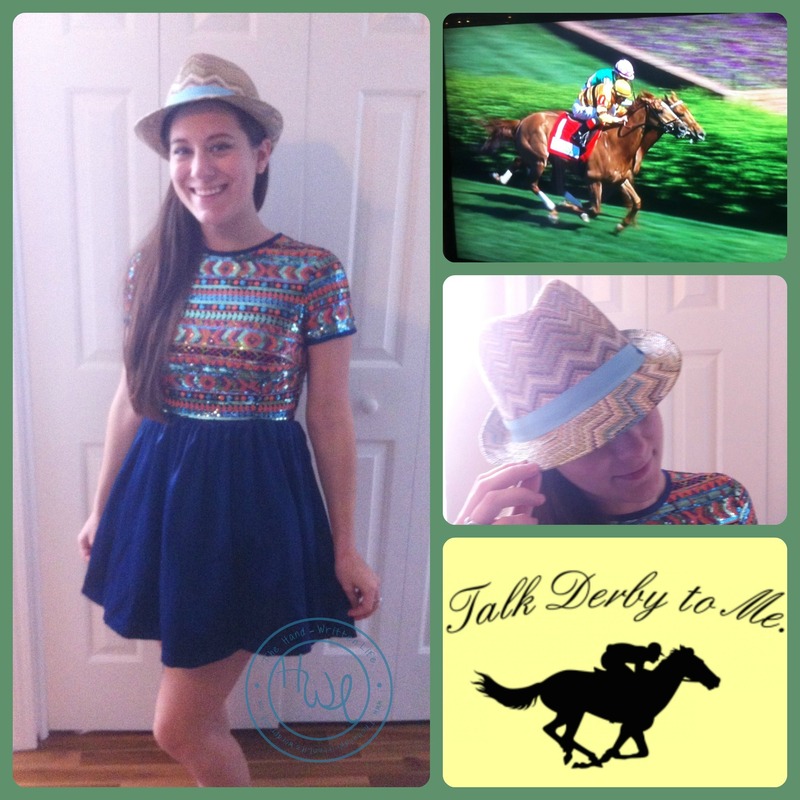 Do you enjoy watching The Kentucky Derby, or any of the other Triple Crown races? Do you remember the last time the Triple Crown was won? How do you pick your winning horse(s)?